The Arapahoe Ranch is a Non-Hormonal Natural Grass Fed Certified Ranch located on the Wind River Reservation. 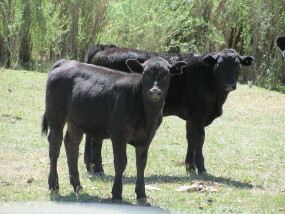 With over 300,000 acres, the cattle are worked and cared for by Native American cowboys. 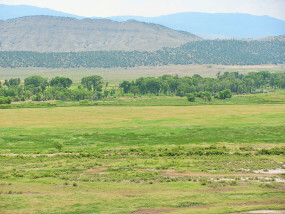 The Arapahoe Ranch includes parts of the Owl Creek mountain range and is home to native grasses, wolves, mountain lions, grizzlies and a myriad of other species of wildlife. The Arapaho Ranch is a wonderful example of a rejuvenated effort by the Northern Arapaho Tribe to reconnect with its strong traditions as a hunter/gather society whose very existence depended on its willingness to live in harmony with nature. Establish a high quality ranch management program utilizing Northern Arapaho tribal members to become leaders in the organic beef industry.